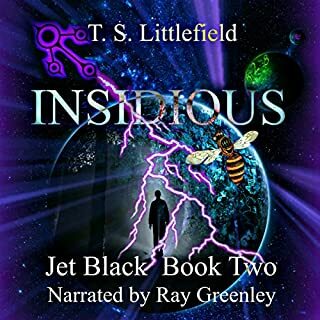 The story of Jet Black continues, and more of the mystery unfolds as Jet and his friends prepare to rescue the remaining children held at Miracle Manor by the sinister Dr. Drexler. Awesome follow up... Bring on the sequel! Even better than the first book. I can't share much about what I liked in the story without spoiling it so I will just say that if you liked the first story... don't think, just spend a credit. I love how the characters are developed and that Greenley used the same voices as with the first. I am now even more hooked than before and hope the next installment is here soon. I'm sure it is a great read but the audio performance is top notch so I wouldn't know. T.S. Littlefield would be very wise to keep the same narrator here for the sake of the listeners who appreciate the individualized voices behind each evolving character and how this adds to the experience. A thousand years ago, the sea began to change, and the change spread. 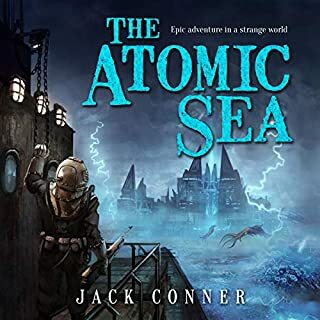 Now the boiling, toxic, lightning-wreathed Atomic Sea has encompassed every ocean on the planet, and the creatures that live in it have become mutated and unnatural. Would you listen to The Atomic Sea: Volume One again? Why? Yes, I missed some details that might help with the many unanswered questions that have been bugging me. Having a great narrator helps though as I want to go back and hear the beginning again before moving on in the series. What other book might you compare The Atomic Sea: Volume One to and why? 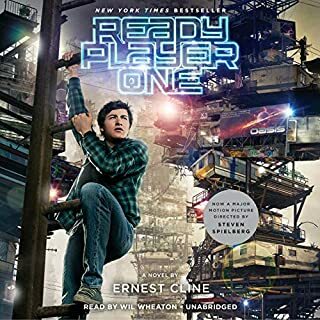 Hard to compare this to other sci-fi or fantasy books because it's different and I still have more questions about WTH is going on with the world than when I started. Alternative future planet with a jacked up sea, other worldly weapon technology and monsters coupled with interesting characters with complex motives. Yes, that wasn't possible but once I got in, it was hard to stop. 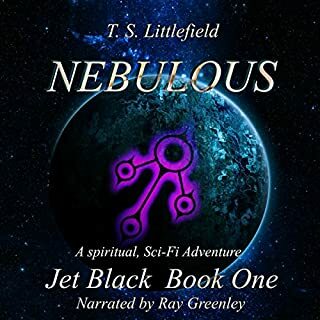 What made the experience of listening to Nebulous the most enjoyable? The story was well written but Greenley's narration helped make the characters easy to follow and get into. This is how I read to my kids when they were little except he never misses a beat. The pacing is good, characters are given appropriate/unique voices and Ray's voice is butter smooth the whole way in. When Jet first showed his glove to Kale... lots of great scenes but given what had just happened the day before it was a powerful scene showing empathy and kindness to someone we didn't expect. No, this was my first title read by Ray Greenley but I will certainly seek out others! I must admit to shedding a tear at the end when the kids they rescued were reunited with their parents. Then, this emotion quickly changed to despair realizing that book 2 was not yet released and it was over. No, Wheaton was great but I don't have a comparison point. Yes, it's too long to complete in a day but I certainly wanted to pull an all nighter. Best book in a long time... seriously, not sure how I missed this in 2012 but if you lived through any part of the 80s and/or enjoy video games this is a must read/hear book. While I"m not sure a sequel is needed, the movie and book sequel will also be must buys.